It was family-party-celebration-time for Dave (DP) as soon as we got home Ichthus Festival in Kentucky. 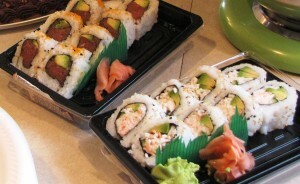 He L-O-V-E-S sushi like crazy! 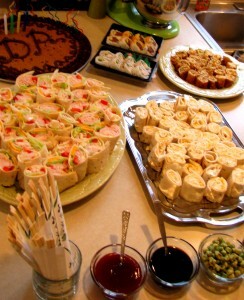 But not everyone in the family has been wooed to the sushi-side. 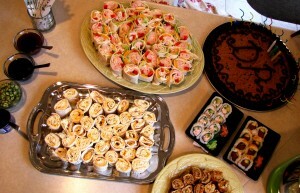 So, we got sushi for the fishy of us and then made a bunch of other sushi-looking stuff (very odd combinations! 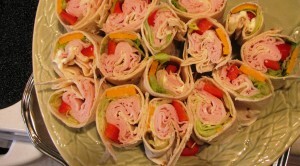 ~ turkey and cheese wraps, tortilla roll-ups, egg rolls cut, etc) and made everyone eat them with chopsticks, wasabi peas and dipping sauces! Throw in some Asian BBQ pork spare ribs and voila! The weirdest meal we may ever have had. All in Dave’s honor. Yeah, we are that bourgeois. 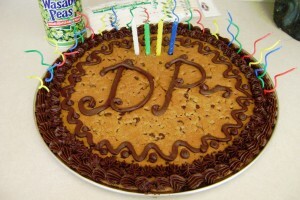 His “cake,” instead of his traditonal Rice Krispie Treats with a side of Peachie rings each year (that is DP, for ya! ), was a giant chocolate chip cookie along with a super-fresh batch of niece-Elise’s incredible chocolate chip cookies and ice cream. Can you count all 28 crazy candles? 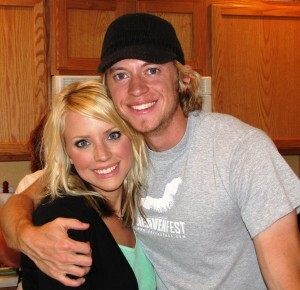 Dave and Tara. See those kind faces? It’s because they really are. 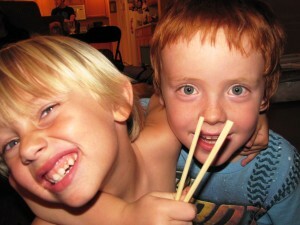 Hunter and Gavin and the chopsticks. See those ornery faces? They are that and my heart-fillers, too! Whew! We have just completed 9 family birthdays in less than 3 months. We have a slight reprieve until late July and then we crank up again for the fall season! But how can I not mark the dates and celebrate these people? I praise God for them! O yes, I do! Mama-la, you’re just so darn creative!